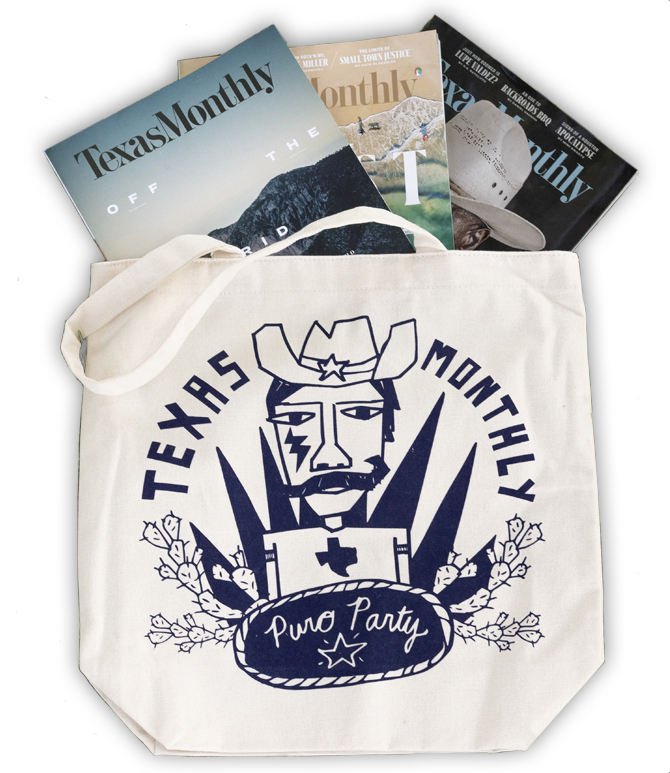 Get all access to print and digital editions of Texas Monthly for only $15, plus a free tote bag, designed by artist Cruz Ortiz. Texas Monthly brings you the best in Texas, reporting on vital issues from politics to education, as well as being the indispensable authority on the Texas scene, covering everything from music to cultural events with insightful recommendations. Digital subscribers are entitled to immediate digital access. 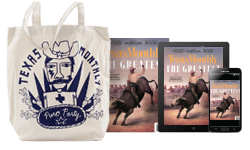 This introductory offer is only available to U.S. customers who have not been subscribed to Texas Monthly within the last year and this offer is good only while supplies last. Offer is with your paid order. Orders must be placed on this page to receive the tote. Please allow 4-6 weeks for your issue to arrive in the mail, and 6-8 weeks for delivery of the tote. Copyright © 2018 TEXAS MONTHLY. All rights reserved.